Today, we’re a nationally-recognized carrier with more than 100 pieces of equipment on the road. What hasn’t changed is the family-focus we have on every move we make. Bayshore is owned and operated by my parents, Linda and Ralph Piazza, my older brother Andy Larmore, and myself. 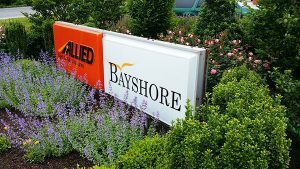 We are very fortunate to have a GREAT TEAM of professionals – many have been with Bayshore for over 25 years – that share our vision and core values. We are all on the same mission, to provide World Class service focused on our customers, quality, integrity and profitability. We operate daily with these key values in mind. 1) Integrity. In business and in life it is so important to do the RIGHT thing – even if the RIGHT thing is not the most profitable or the most popular. 2) Bigger is not always better. We are fortunate to move over 5,000 families a year, but Mom always reminds us that we must never lose sight of how each customer sees only THEIR ONE MOVE. We must control the quality (customer satisfaction) of each individual move. 3) TEAM. 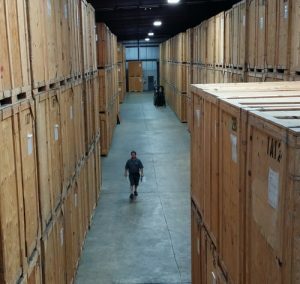 Mom has taught us all that trucks and buildings are a prerequisite to be in the moving and storage business, but it is the TEAM (our people) that make the difference. It is amazing how AWESOME people can be when they are part of a WINNING TEAM. 4) Community. We have been fortunate for decades to have the support of the communities we serve. So we give back to those communities that have given so much to us. We are very active with different charities, from large to small. If at any time I can be of assistance – to answer a pricing question, confirm how we plan to move your piano or address any concern you might have – PLEASE email me. I would love to speak with you personally. THANK YOU on behalf of our family and the Bayshore Team for visiting our web site. We wish you the very best as you take on the excitement of moving. PS — We encourage you to look and compare, but don’t fail to call the Bayshore Team. Your move and your possessions are too important to trust to strangers.